It is especially popular since both bedrooms open onto a full-length terrace with spectacular views of the canal. The lounge opens onto the undercover patio providing secluded outdoor living where one can enjoy a sundowner while watching the rowers on the canals and the yachts sailing into the yacht basin. There is easy access to the 5 communal pools which offer loungers and umbrellas to enjoy the sun and marina lifestyle. The apartment is light and airy. 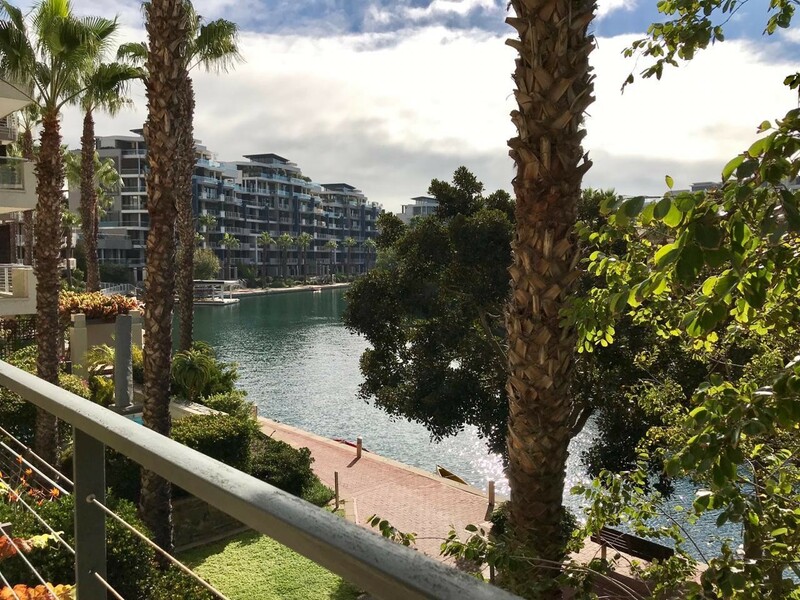 Situated in the heart of the most successful waterfront development in the world, this apartment is within walking distance of a wide selection of restaurants, shops and entertainment. This elegant, modern two bedroom apartment is perfect for weekend getaways or a "home away from home" if you truly want to enjoy Cape Town for a longer stay. The bedrooms (with en-suites) are the same size and both offer the same tranquil views of the marina waterways.